Because you woke up this morning and were like, "I'm hungry. For steak. 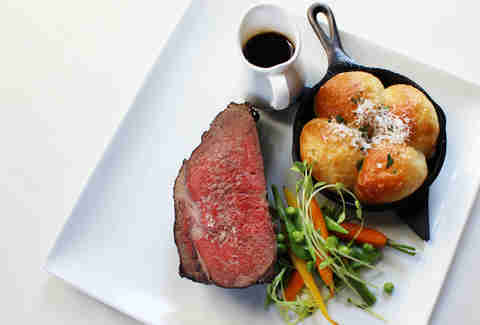 But I've been to every single one of Thrillist's Best Steakhouses in LA, and I want something new. 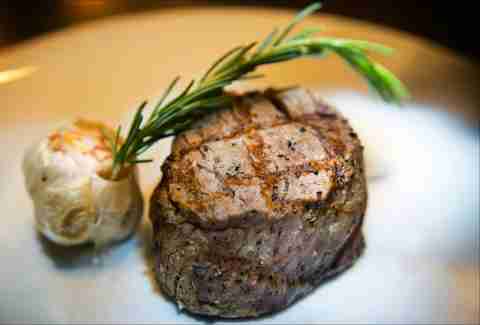 A new steak." Well, here are 10. 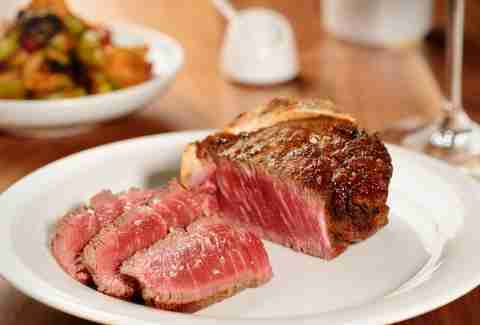 The Grafton's new steak shop is setting you up with enough meat for two, with a massive beast that puts this picture of their filet TO SHAME, partly because it used to be a cow that was raised on an all-vegetarian diet, unlike... you. 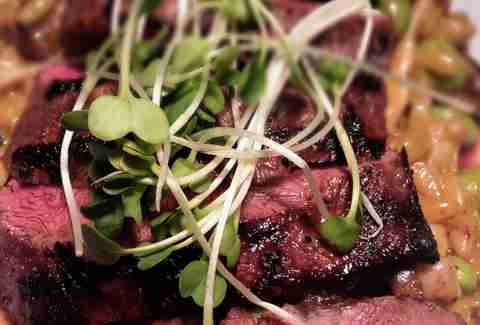 Just opened in LA after crushing Washington DC and a couple of other cities, this Michael Mina-helmed steakhouse has nine ultra-legit cuts, but the legit-est is this American Wagyu rib eye, perfectly crusted and somewhat Asian-tasting. This new Long Beach steakhouse (we waited to tell you about it until it got its booze license, which it totally just did!) takes on the big guys with, well, everything on the menu. Their veggie-fed beef comes in a ton of cuts, including a monstrous 42oz bistecca alla Fiorentina, and this crazy-marbled, bone-in filet. 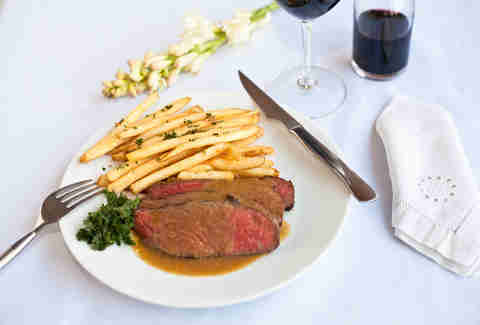 You'd better like steak frites if you're going to this small Melrose brassiere, 'cause it's LITERALLY THE ONLY ENTREE THEY SERVE. It also comes with soup or salad, and comes in TWO SERVINGS, so the other one doesn't get cold. Yes, this place is real. The dark, classic, classy Sunset Strip Japanese spot recently did an all-Wagyu special menu, and decided to make this guy part of the regular menu. 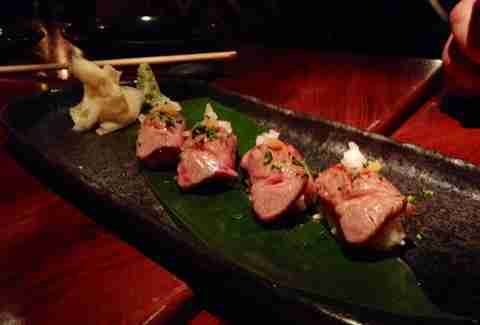 And while it may not be a classic steak, it is sushi with melt-in-your-mouth seared beef on top. So there's that. 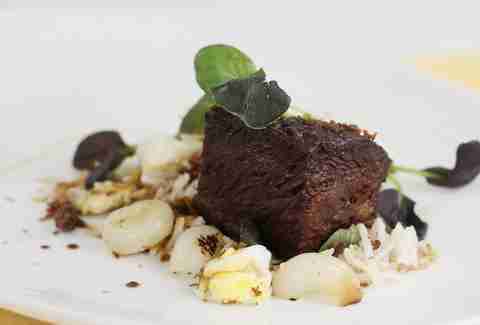 This seaside restaurant has an incredible view, and an equally incredible new steak. 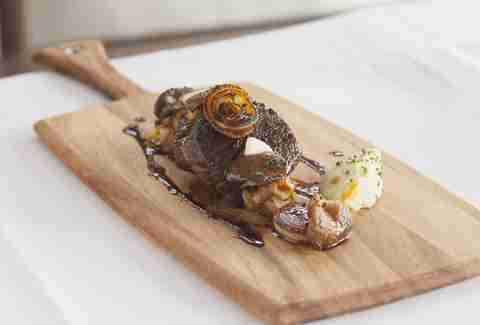 The former sous chef at Providence prepares this filet with a medley of tomato, eggplant, garlic, bell pepper, and onion, tops it with a red wine jus, and top tops it with bone marrow butter. This sorta-hidden away wine bar totally re-jiggered its entire menu, which thankfully means the addition of this beauty, which includes a cast iron skillet of fresh baked rolls. 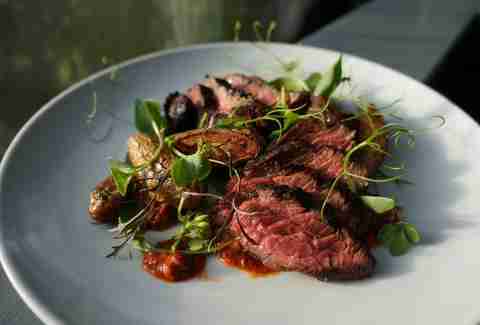 Celeb Chef Govind Armstrong ups the ante again with this red meatstrosity served with herb-roasted fingerling potatoes, caramelized parsnips, and a romesco sauce prepped with blueberries -- yeah, steak in blackberry sauce. 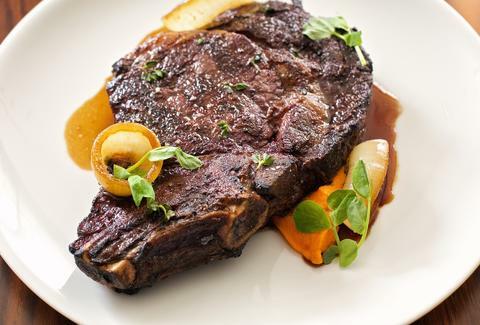 This just-opened restaurant's among the most anticipated of the year, thanks to backing from the guys who run the Pebble Beach Food and Wine Festival, and the dude who helped launch Mo-Chica, plus a kitchen run by a Michelin-starred chef doing dishes like this mesquite-grilled rib eye topped with an oyster jus. Sandwich-shop-by-day, sit-down-restaurant-by-night, Fickle just finished a meaty menu re-jigger, which means this flat iron with gochujang orzo, roasted shimeji mushrooms, and spinach is now totally a thing. 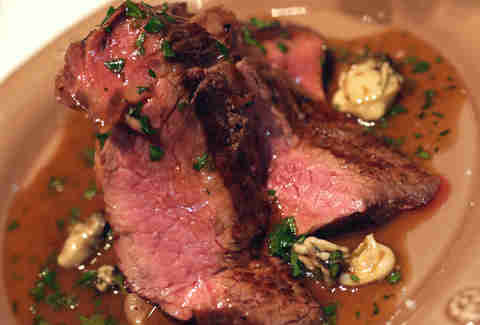 Jeff Miller is the Editor of Thrillist LA and will take his steak however the chef recommends. He can be found @thrillistla on Twitter and @jeffmillerla on Instagram.